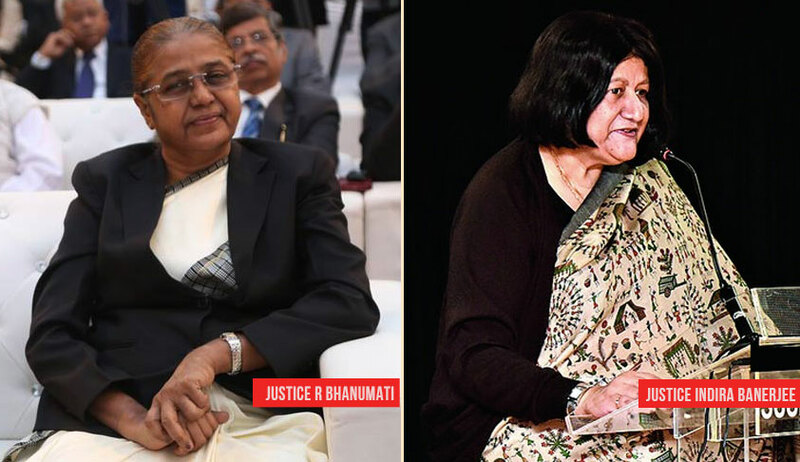 A bench comprising Justice R. Banumathi and Justice Indira Banerjee asserted, “ It is well settled that proceedings under Article 226 of the Constitution of India, the High Court cannot sit as a Court of Appeal over the findings recorded by a competent administrative authority, nor re-appreciate evidence for itself to correct the error of fact, that does not go to the root of jurisdiction. The court observed that even in cases where the high court does find an apparent factual error which goes to the root of the decision, the appropriate course of action would be to give an opportunity to the concerned authority to rectify the error. “It is only in the rarest of cases, where the factual error is so obvious that it is rectifiable by the Court itself, that the Court might, to prevent delay and consequential denial and/or miscarriage of justice, rectify the error,” it added. The court was hearing appeals challenging a judgment passed by the Patna High Court in last year, directing the Indian Oil Corporation (IOC) to allot the Kisan Seva Kendra (Retail Outlet) dealership retail outlet in issue to one Prakash Chandra Chaudhary. Originally, it was one Sanjay Kumar Jha who had been awarded the dealership for the outlet to be located within one kilometre from Giriyama Chowk, Giriyama in Katihar District in Bihar. This was then challenged by Mr. Chaudhary, who had lost the opportunity to Mr. Jha by a few points. This petition was allowed by a Single Judge of Patna High Court, who directed IOC to grant dealership of the Giriyama retail outlet to Mr. Chaudhary instead. An appeal against this judgment was rejected by the Division Bench of the High Court. However, the Supreme Court now noted that the Single Judge proceeded on the “erroneous notion” that, as per the advertisement, the only requirement for the Giriyama retail outlet was that it should be in Giriyama within one kilometre, on a particular well-defined road. The Single Judge had further observed that the report of the Circle Officer and the District Magistrate to the effect that Mr. Chaudhary’s land was not in Giriyama was “erroneous” and “collusive” to favour Mr. Jha instead. The Single Judge’s approach was, however, not approved by the Apex Court, which asserted that under Article 226, the high court cannot adjudicate upon affidavits or disputed questions of fact. “It is well settled that in proceedings under Article 226 of the Constitution of India the High Court does not adjudicate, upon affidavits, disputed questions of fact. In arriving at the finding that the land offered by respondent Prakash Chandra Chaudhary was located within Giriyama Mauza of Falka Block the learned Single Bench embarked upon adjudication of a hotly disputed factual issue, which the High Court, while exercising its writ jurisdiction, does not do,” it observed. The appeals were therefore allowed and the impugned judgement was set aside, with the court asserting that the high court could not have decided on questions of fact.